Have you already planned a costume for your Halloween party? Well, there are a lot of Halloween attires for sale an online video tutorials as well for you to come up with some amazing Halloween outfits from home. If you have a hoverboard, then try out what this guy did. What did he just do? He actually placed a red carpet on top of a hoverboard while dressed as Alladin and it's so cool. Watch the video below. Three months ago, a line of luxury cars drove past the Metro Manila Skyway like a parade of toys that only some of the richest people in the Philippines can buy. For a usual passerby, just seeing one Ferrari makes him/her really get amazed at the vast amounts of wealth that the elite possesses. What about seeing tens of these in an awesome show of money power. Do you think the Philippines shelters a lot of rich people? This line that displays extravagant consumption definitely proves there's a way to financial success through whatever means it was attained. What would you do if while walking in the street, you find a wallet containing some cash and cards? Would you look for the owner and return it or make use of the money for certain use? The morally acceptable and right answer is to return the wallet to the owner because, of course, it isn't theirs so what's not theirs should be given back to the rightful owner; however, for some people the "finders, keepers" rule still applies. They would defend by saying that it wasn't stealing after all. What if the owner is nowhere to be found? What if there is no ID in it? Watch the video below as one man attempts to see how certain people would react when he intentionally drops his own wallet. Clearly, for the owner who made this experimented, he wanted to know what would happen when he does that. To his surprise, the owner saw one finder who kept the wallet, went inside a shopping mall, and bought some stuff. How would you feel if you were the owner who finds out that what's yours wasn't returned back to you quickly? Would you judge the finder? VIEW | Five reasons why Glenn did not die in The Walking Dead Season 6 Episode 3 "Thank You"
I'm no longer making some long introduction about Episode 3 of the 6th season of the incredible, action-packed The Walking Dead (TWD), but I have to say one of the best haunting parts of this episode was that scene wherein Nicholas takes his own life by pulling the trigger with the gun pointed to his head after uttering the final words "Thank you," which eventually leads to both of them falling down the hungry herd---Nicholas somewhat arching Glenn. The last part of this scene shows Glenn helplessly crying out in loss of hope, just "dying" in the hands of the same person this noble character and Rick's moral compass has saved. But did Glenn really die? I have a big feeling he survived and here are five reasons why Glenn, our pizza delivery boy, had a high chance of surviving the deadly grind. When both Nicholas and Glenn were about to fall, as viewed from a cameraman's perspective, it seemed like Nicholas was surely falling on top of Glenn. 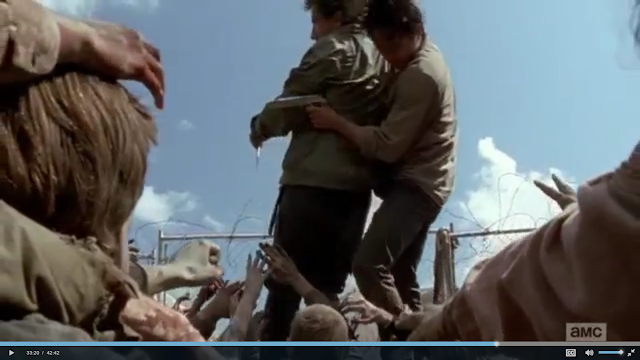 And this gave Glenn the accidental shield that could help him survive this episode's walker dominance. Maybe Nicholas' last words connote that he's thankful enough he found meaning for a more acceptable death---to some point helping Glenn make an escape by using Nicholas' body as feeds? Maybe he committed suicide for the best reason, that is, to let someone live? As he fell down and reached the ground, the camera showed walkers feeding on some innards. Was it Glenn's? 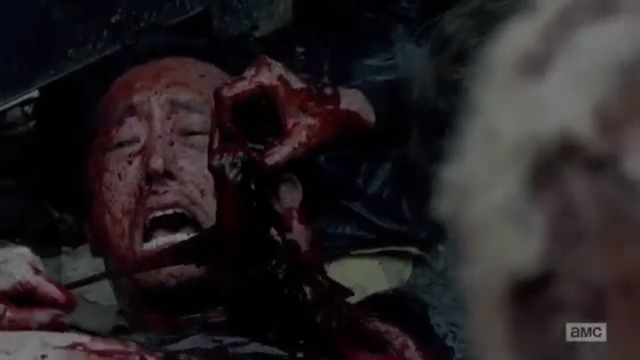 It's probable that it was Glenn's, but in all reality, when your innards are already being taken out, it's either you faint due to blood loss and shock or you die instantly. But at that point in time, Glenn was seen helplessly shouting out loud, crying for help, but it also seemed that he was crying to what he was seeing---maybe he was watching dear Nicholas being scavenged on the spot in an entire blood bath that's too horrific to watch. At a zoomed out, artistic view of the attack on Nicholas and Glenn, you would notice Glenn's head still moving despite the circumstance wherein someone's gut and other abdominal contents have already been taken out and devoured. 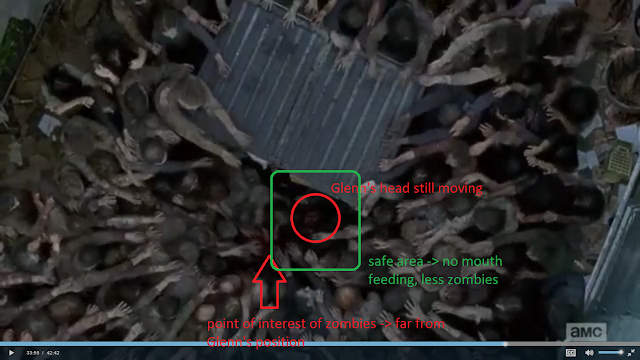 Notice also that Glenn's head and upper body appears less prone to walkers, assuming that Nicholas' body just have covered Glenn's lower half, which seemingly appears as the point of interest for the walkers. It surely appears that there are really a few walkers surrounding Glenn's area, thanks to that blocking dumpster which is also primarily the greatest reason Glenn still has the chance to live, if he gets that instant adrenaline kick and acts accordingly. How? The dumpster. Speaking about the dumpster, I really have a big hunch that Glenn----which at this time is now drenched in Nicholas' blood given that he's not yet bitten because the blood and other body parts rained down on his body---was able to survive by rolling or crawling under the dumpster. Why? The space underneath the dumpster is really big it can fit one human (Asian) body a size like Glenn's. If he's able to do it, there's a big chance he could have survived the attack with the stench of Nicholas' death as his best camouflage. Can walkers kneel down or bend over to reach underneath? I have seen walkers go under the truck but that's because they lost their lower half and still managed to crawl under. Or maybe I'm wrong and walkers can still grab humans wherever they may be hiding, but not humans masked in blood of the dead. 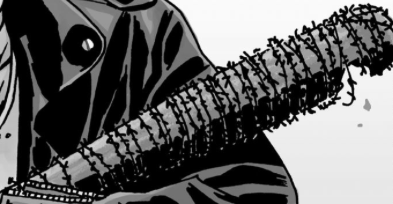 If you are reading the comics from which TWD is based, Glenn's death takes place upon the arrival of Negan, one of the best villains in TWD world, armed with a baseball bat wrapped in barbed wire named Lucille. Now, this is definitely the coolest way of killing a seasoned TWD survivor. It can also be remembered that major deaths in The Walking Dead usually take place at the very end of an episode. 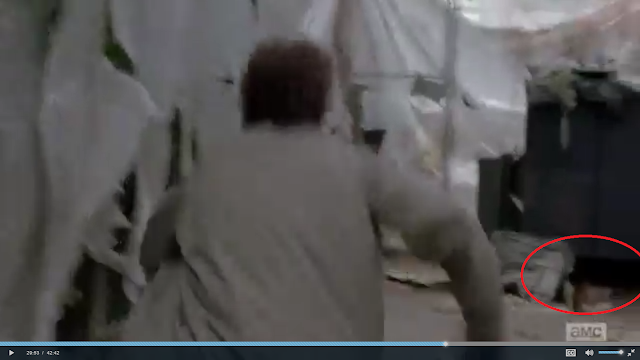 In this TWD "Thank You" episode, the action ended 10 minutes prior to the third episode's finale, which indicates that during this time period, Glenn might have been able to slip himself in the spacious shelter under the dumpster and stayed there until the coast has cleared. And where are we yet in the track of episodes for this season? Third! Just third! 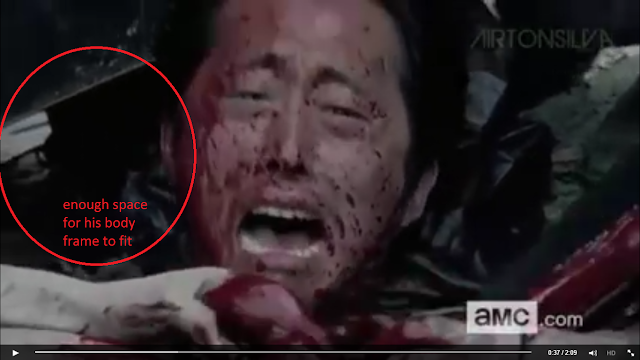 Glenn can't just die like that. At this year's San Diego Comic Con, creator Robert Kirkman told fans to expect “a lot of cool stuff” with Glenn. Meanwhile, actor Steven Yeun (who plays Glenn) said, “The way that we make the show — the writers and everybody really want to focus on making things poignant and purposeful and meaningful. So if it were for Glenn to go, then it's probably going to be awesome." The way that Glenn dies early in the hands of Nicholas doesn't really equate to "poignant and purposeful." Another bonus reason for me to really believe he's alive is that Steven Yeung has been spotted in the TWD set with a character (named Jesus) that is yet to be introduced in the series. Other possible things that may have happened at that time include Nicholas hallucinating on what might happen if he decides to kill himself as they stand atop the dumpster or Glenn just having a beyond-walker-apocalypse bad dream. So these are the five reasons why I believe Glenn is still alive after that traumatic scene, and these are just my beliefs and opinions. I could be wrong, but my gut feel tells me he's still alive. However, if Glenn really is dead, then I guess I'd just have to accept what happened and move on. And if that's the case, I can say his meaningless death was poorly written considering all the trials he's been through. He can't just die because of someone's inability to cope up and act tough. What's your take on this? Are my theories somewhat acceptable? Jeanen Thomas and her young daughter Peyton were at a local skate park when they came across a group of intimidating teenage boys. However, one of them beyond her prejudice made an act of kindness which changed the way Thomas thought of these boys. Peyton, Thomas’ 6-year-old daughter, had been amazed by the boys who pass by the playground and go to the skate park located in Cambridge, Ontario. This interest increased; soon enough she wanted to try skateboarding too. At first, Peyton assumed it was a boy sport, but she and her mother “had a long talk — there's no such thing as boy things or girl things, there's just things, so if something interests you, you can do it." Thomas, who’s now 29 years old, was a skateboarder herself. One day, the mom-daughter duo decided to scavenge Thomas’ their basement for her childhood skateboard, bought a pink helmet, and try it out at the skate park. Upon arrival, a couple of older boys intimidated Peyton. Thomas saw some of them smoking and even swearing. Thomas thanked him saying, "I want you to know that I am proud that you are part of my community, and I want to thank you for being so kind to my daughter, even though your friends made fun of you for it. She left with a sense of pride and with the confidence that she can do anything, because of you." Not only did he help her how to balance and steer, he also gave her a sense of belonging. Are you still at a point wherein you're still deciding what career path to take? Are you already part of an industry where you feel you don't fit in or in which you feel it isn't right anymore? Are you ready to take a leap of faith and make the biggest jump of your life? 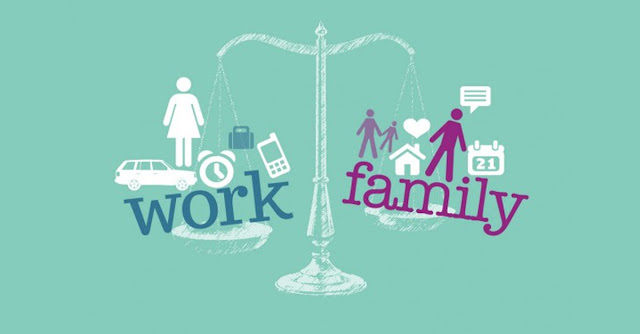 In most cases, a well-compensated job equates to an extra busy schedule which takes away a lot of family time and "me" time. In other cases, there are high-paying jobs that allows for better balance in life. Glassdoor.com, a salary comparison website, has come up with its list of the 25 best jobs in the world in terms of work-life balance which is evaluated from 1 (lowest) to 5 (highest). Manila LifeBox will give you the 10 best jobs in Glassdoor's list because I feel like these are the coolest jobs in the world which gives you the best of both worlds (career and personal life). The list of the top 25 jobs in the world has also been featured in the World Economic Forum's website. If you graduated with the prerequisite degrees that lead to these paths, then great for you! You've got the most envied jobs in the world! If there is one thing that the phenomenal breakout love team of the year, AlDub, has done to orient and guide the Filipino youth, it's to provide the youth an avenue to show off their talents and not only that but to encourage every AlDub fan to patronize and support original pinoy music (OPM). Here are videos of their renditions of some of the Pinoy love songs (and some notable foreign ones) that top their playlist. Original AlDub songs have also been created by local musicians, hence, strengthening the place of OPM in the music industry. These days so many amazing stuff are flocking the market in great numbers! 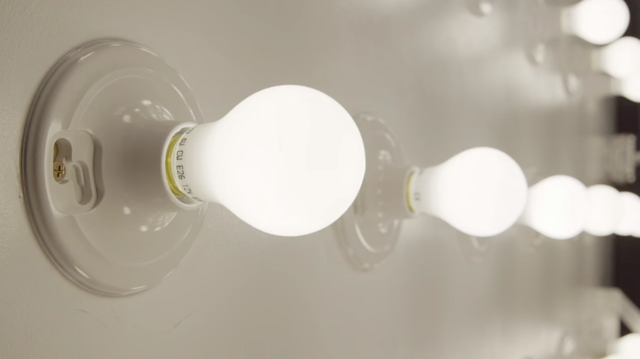 From extra smart gadgets to innovations of traditional existing things, there's just too much excitement for what's in store for all of us in the next decade. Our potential as advanced thinking, creative creatures just keeps on growing and expanding beyond what our brains can comprehend. In this post, Manila LifeBox takes you into The Future Is Now's presentation of really cool futuristic inventions to watch out for. What if you can buy a stable, tethered quadcoptet that will record an aerial footage of your adventures or perhaps special occasions like weddings? It's a bye bye to hassle selfie shots and a hello to convenient user-adjusted third-party shots using Fotokite Phi! 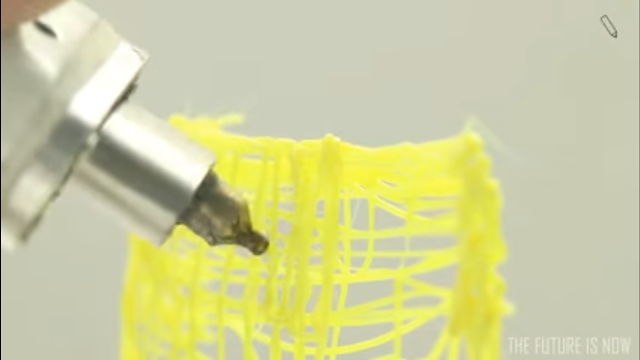 What if you decide to fabricate own artistic designs? The Simo Mini printing pen allows you not to only 3D-print, but also to solder, cut, and burn material at your own pace! It allows you to just create anything out of your imaginative minds! 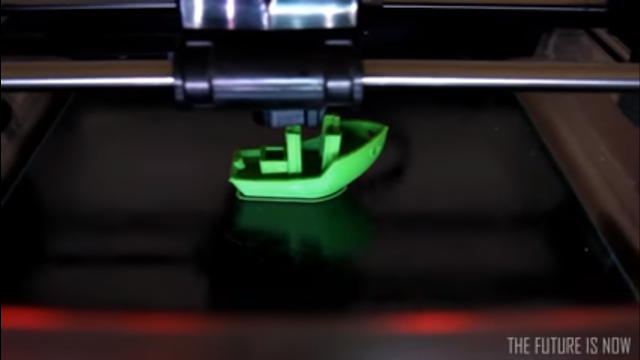 There's also FABtotum PRISM, an advanced 3D printer which allows you to do more than just 3D-print with accuracy, but also allows you to cut, scan, and mill. As soon as the cost of production of these printers go down, local plastic manufacturers will definitely have problems competing and catching up with owners of these printers! 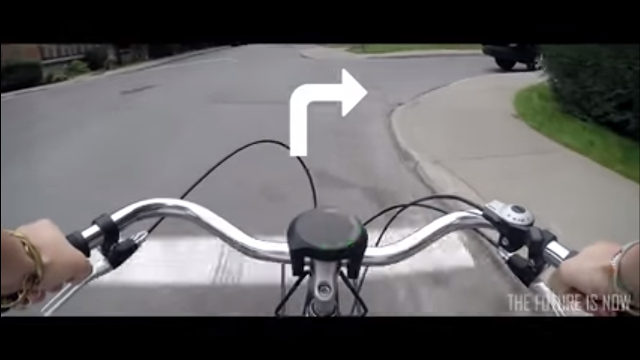 What about owning a smart bike that allows you to navigate the quickest, safest route, and that warns you about anything when you make a turn? But not only that, Smart Halo tracks your calories burned, average speed, distance traveled, time it took to finish certain routes, and as well as elevation. How cool is that! 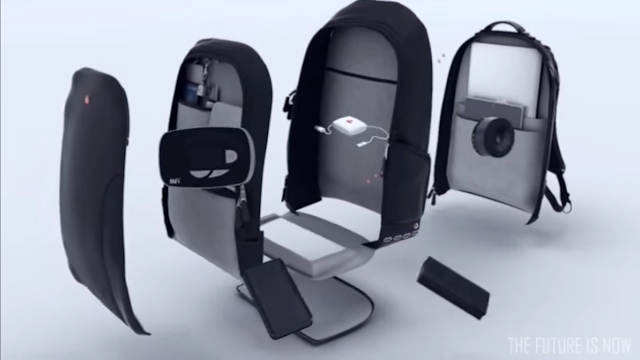 One of the best innovations I've seen is for the usual day-to-day backpack. The iBackPack is ultra smart in that it allows you to be the life of the party by having cool integrated speakers, USB ports, fast wifi router, GPS navigator, retractable USB cords, and a built-in battery! Check out the video for the actual devices! One can consistently see a lot of these when watching pron or going to the beach, but I have never seen a lot of these bumming around in Tinder. Like seriously, girls (I'm not generalizing, but if you go put up your own profile and search for women), you will see at least one (pair hehe or one and a half) in every 8 profile that you come across. It's okay to be a bit seductive (if that's what you intend to do), but don't make it up to a point that your assets occupy a big third or fourth of the space. It's pretty hilarious. What's a bit alarming is that a few of these showy girls have these "no hookups" description in their profiles. Interesting. You will definitely see a lot of girls wearing heavy cosmetics in their main display photo. I mean it's not bad to put on something to make you look more attractive, but if you will, guys like me tend to swipe to the left when I immediately see someone's face bombarded with too much facial enhancements. In my opinion, girls who have nothing (or at least less) to hide just let themselves be seen as they are when they're asleep. Be who you are regardless of what you're made of. Well, I can't blame some of you (girls) for doing so, but sometimes too much of something does more harm than good--in this case, how we (at least I) perceive you. And sometimes, it somewhat appears like there's this hint of desperation to find a match that comes to mind when viewing such profiles. I guess if that's what you are, I can't stop you from doing that but for me, face sans makeup, I'd like to meet someone not for her imperfections, but for the way she compensates for whatever imperfection she has. I too get a bit fixated when I see a pretty girl with her makeup on, but it intrigues me more to see how she looks like when I wake up beside her in bed. Siguro, around one in every 6 girls and/or gays (yep, you'd see them as well even if you only chose women as your match preference) look for a travel buddy and some of them place their escapade photos from the peaks of Pico de Loro to the seascapes of Boracay up to the extravagant trips in Hongkong. I guess women just love to travel a lot (meaning, high maintenance haha! kidding aside!). Well, it's pretty normal to see faces in people-connecting-people (social) platforms, but what I'm talking about here are the intensely surprising ones like selfies that are so close, it's like she wanted me to see every detail of her because there's no space left for me to set my sight on the background or simply because there's no background at all because she entirely bombed the photo haha. Or what about angelic (chinita) faces which make me wonder, isn't she supposed to be taken? Is she playing/fooling around? Or is she just a poser (you know, Tinder requires you to login on Facebook which has a lot of poser accounts)? On the other side of the spectrum, you'd see faces no more because really, it's covered by the bangs or the angling of the photo was made in such a way that only half of the face is seen (hilarious!). There are also other users who display no faces because they're faced away from us with their backs and their body contours the only things that's left for me to check. It's like they wanted me to judge if they're interesting by their slenderness or body type. Or what about faces that are partly hidden by digital images like a kiss-print (don't know if such a word exists haha) or some emoticons? Haha. As for me, I have decided to spare myself from this craze for a while and switched to spotting while jogging haha. Hopefully, I'll come back later to find more unusual things that you will usually find in Tinder. I guess that's it for now. My 30 minutes is almost over. Again, I have no intention of judging anyone; my purpose for writing this post is to let non-Tinder users out there know what to look forward to. Thanks for reading! Every day, there are millions of interesting life stories from which one can take great insights. This is definitely one of them. For the first of so many inspiring stories that will be featured here, Manila LifeBox shares with you the story of Jupel, a native Mangyan who had to reach Casillon Elementary School in Baco, Oriental Mindoro on barefoot for around 20 minutes. His state, however, did not stop him from going to school. 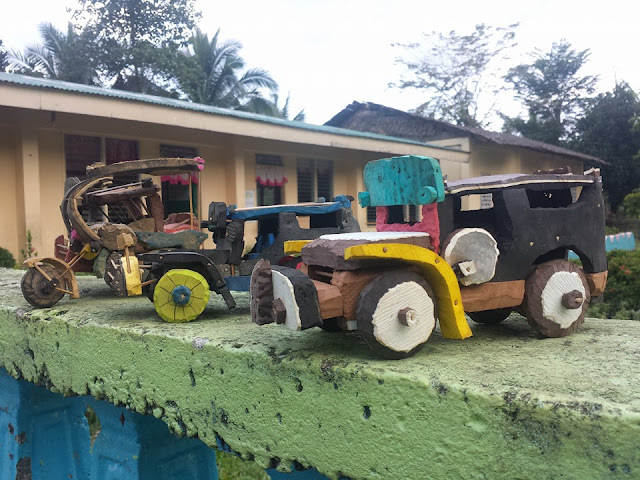 Not only is he someone to look up to for the perseverance and determination he possesses, he has made one special thing that made him commendable---crafting toys. 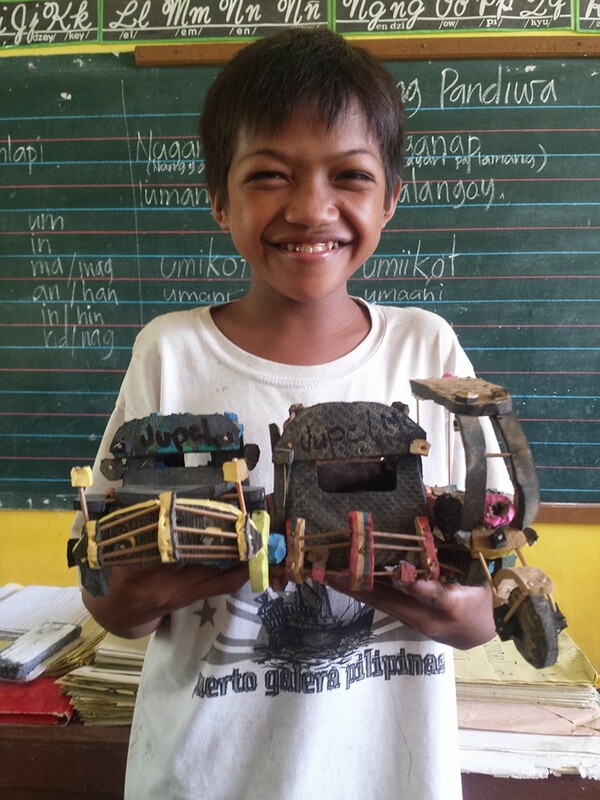 He made use of recyclable materials like used tires and slippers to come up with toy vehicles. He'd cut the rubber using an "itak" and use sticks to attach the rubbers to one another. He makes vehicles out of his dream to ride one, considering the fact that Jupel burns most of his energy and time walking to his school. 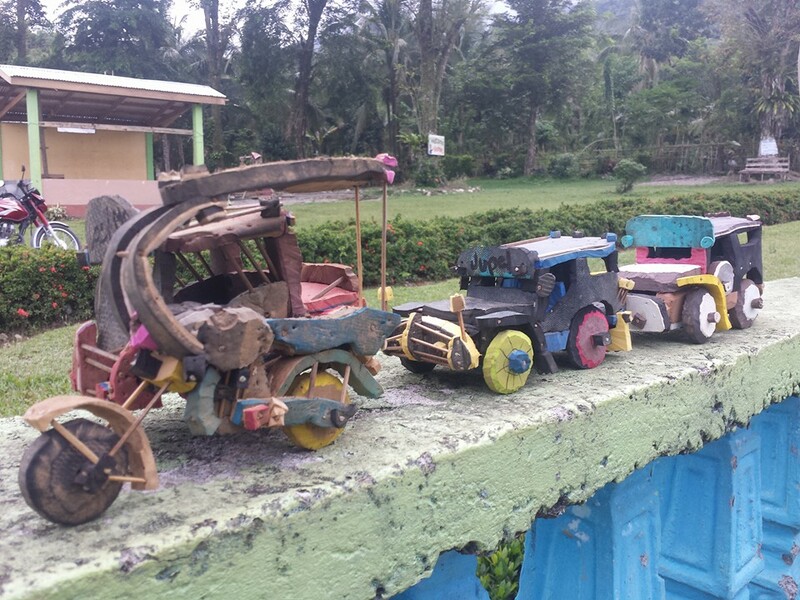 His artistic talent in creating such works even earned him recognition by people from Top Gear Philippines. Look at how far this kid could go if only he'd be granted formal art training. But what are the toys for? Actually, he builds these toys to raise funds for his school's comfort room. Such a big-hearted child we have right here! 2016 is probably one of the most exciting electoral events in the history of Philippine politics as 130 aspirants vie for the top and most coveted government position in the country. While most of them are tagged as "nuisance" candidates, only a handful will be fighting over big shares of the voting public. And they are Jejomar Binay, Grace Poe, Mar Roxas, and Miriam Defensor Santiago. Who among the four of them will the majority of the registered voters elect? Will it be Vice President Binay, Senator Poe, Secretary Mar Roxas, or Senator Santiago? Let's take a brief look into what these presidential candidates have, what political parties they belong to, and what great accomplishments have they made as public servants. Note that these do not provide complete information, but only a preview on what they are made of as possible choices. The effect of typhoon Lando has caused local government units in the country to declare class suspensions on October 19, 2015. The list of area where classes are suspended is as follows. A lot of huge problems dot big portions of the world from poverty to food, water and electricity shortages, to health issues and environmental challenges. And the least fortunate ones are the most helpless and most affected. Truth is, a lot of inventions are available to address these problems; however, these don't just sound worthy investing in for some of the world's biggest tycoons and corporations. To date, the top 1% of the world's population now own 50% of wealth. If a lot of those on the top of the social hierarchy would chip in to solve these problems, then a lot of hope will sprout on Earth. Fortunately, someone's stepping up. Someone from the world's Richest Circle is using his own money to create solutions that will change the lives of billions of people. Who is this billionaire-philantropist spearheading this project? What are these cool solutions he is supporting? Watch this amazing documentary and be inspired! The Philippine Atmospheric Geophysical and Astronomical Services Administration (Pagasa) has raised public storm signal no. 4 over Aurora province as typhoon Lando approaches the region. 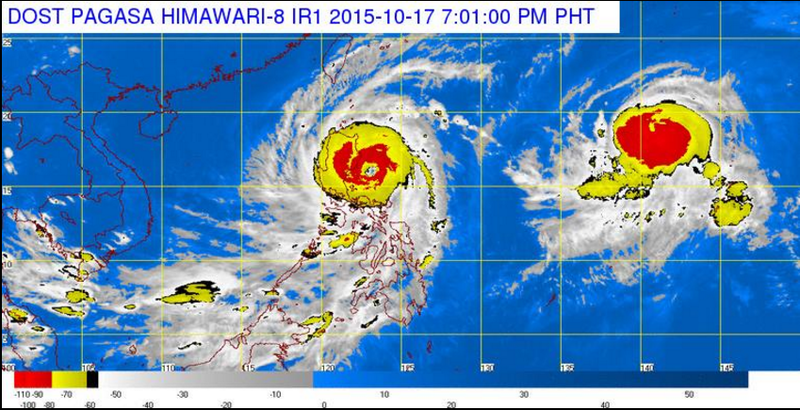 It was last spotted at 185 kilometers East of Baler, Aurora, packing a maximum sustained winds of 175 kph near the center and gustiness of up to 210 kph. Storm surges, Pagasa warned, may reach a maximum of three meters in Aurora and nearby provinces and up to 14 meters in open sea. Northern Quezon including Polillo Island. Some of us dreamed of learning how to fly when we were young. No, I'm not just talking about the aspiration to maneuver an airplane (although that's big a dream enough), but literally flying as a substitute mode of movement for walking! With this, the possibilities of finding shortcuts to get to your place and finding new angles of your landscapes are pretty endless! 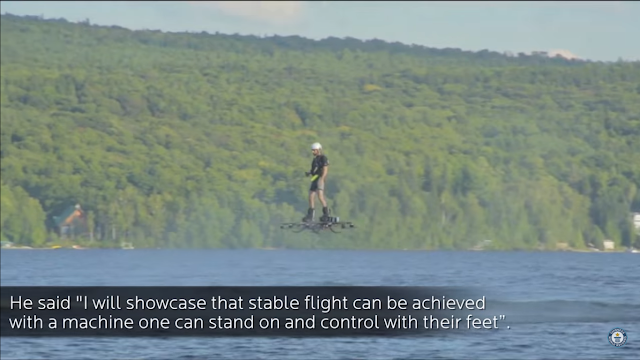 Canadian inventor Catalin Alexandru Duru just brought this dream one step closer to reality as he has successfully launched his own flying hoverboard through his company Omni Hoverboards. The 31-year-old Romanian-born inventor took the Guinness World Record for making the longest and furthest hoverboard flight in history. Through his invention, he was able to fly 16 feet up in the air at a distance of 275.9 meters over Lake Ouareau in Quebec, Canada. 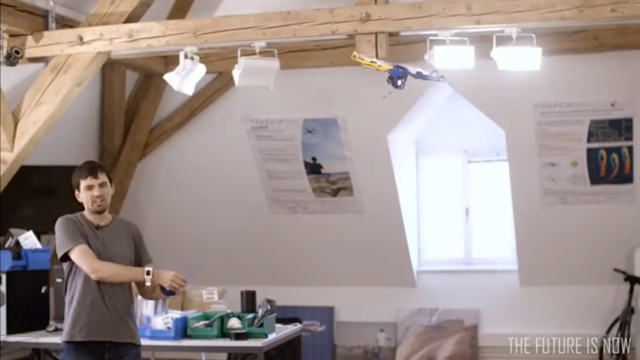 Check out this cool flying hoverboard and its pilot Duru in the video below. “Being connected means having opportunity. We're connecting the world so one day everyone can fulfill their dreams -- just like Marissa,” this is what summed up Mark Zuckerberg’s recent post on October 15 in his account about Internet.org’s ability to help those who have no internet access and bring change to their lives. Enter Marissa. She is a Filipino factory worker who dreams of becoming a businesswoman one day. From her meager income, she’s able to slowly set aside capital to have more stuffed toys which she sells through Internet.org. Watch the video below. This is a great story about Marissa -- a young woman working long hours in a factory, yet she uses Internet.org to fulfill her dreams of opening a business of her own.Being connected means having opportunity. We're connecting the world so one day everyone can fulfill their dreams -- just like Marissa. This just shows that no matter who you are right now, you always have the power to rise above challenges and chase your dreams. Keep moving. Internet.org is an initiative led by Facebook targeting to provide free Internet access to areas of the world with no or limited internet access. Services offered by the internet.org app include those for education, health, work and communication. To avail of these services, just install the Internet.org Android app via Google Playstore or visit http://internet.org/ from your phone. The app is only applicable for Smart, Talk ‘n Text, and Sun Cellular subscribers since these telecome companies are the partners of Facebook in this campaign. Open the app and from there, a dialogue box will be displayed. Then, click Continue and turn on your mobile data connection. After that, the free services can now be used. For about five long years, I have experimented on using Blogger as a temporary platform to hinge my writing about any topic that I like or love. And within this time frame, I understood how Blogger works, how I can manipulate and add cool stuff, how I can place some ads, how I can gain traffic, and most important of all, how popular the Blogspot domain is for every person out there who wanted to try out writing but didn't have the funds to go own a website. Teka, allow me to explain first what a domain name is in layman's term. A domain name simply is that part of the internet ("www." + domain/keyword + ".com, .ph, .com.ph extension, etc") that you can own. So I asked myself, why don't I try to have my own custom domain and not just one that's attached as a Blogger sub-domain/URL? At first, I was hesitant to do it because I knew it would be expensive but then I realized I could have my own ______.com if I only research the prices well enough. And indeed, I did. 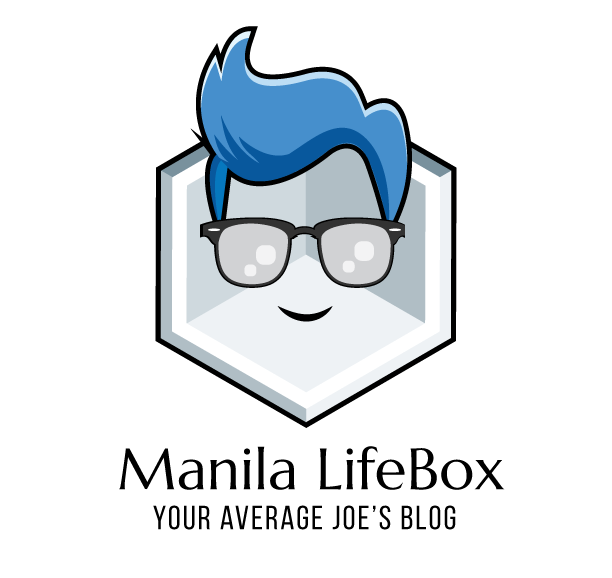 Today, I purchased this new domain ManilaLifeBox.com which I plan to use as a way to project my other side--the more simpler side of me. 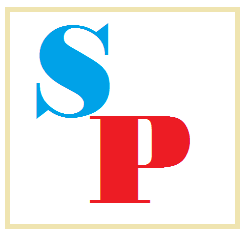 It is in this site where I will continue and improve from where I started off, Spotlight Philippines. Okay, let's talk about this blog in another post hehe. How much did it cost me to buy this domain? I actually looked through a lot of domain registrars like GoDaddy.com, Dot.PH, Pangalan.com, NameCheap.com, Web.com.ph, and Zoom.ph. And I realized that the cheapest for me, thinking on a long-term basis, was NameCheap. I can attest that GoDaddy and NameCheap are some of the cheapest providers for domain registration. However, I have had some security issues with the former because GoDaddy has been hacked in the past by Anonymous. The other local domain registrars were a bit expensive on a yearly basis, with the first year having a dropped price (say 350 Php) followed by a 100% increase the next year (600 Php). Some offered competitive price points kaso when WhoIs privacy protection service (which keeps your private contacts like name and address unseen in public directories) is taken into consideration, the total cost differences show up. Look these sites up and see the differences. Now, how did I do it? How did I get ManilaLifeBox.com? These are the three easy and affordable steps to having your own affordable website. Register your own domain via NameCheap.com. 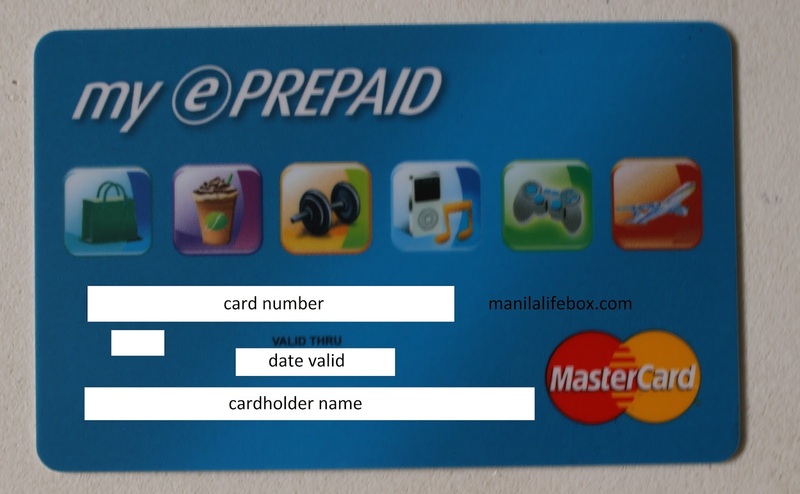 Pay via BPI My ePrepaid MasterCard. Use Blogger's free hosting service so you wouldn't have to pay for it. FIRST. Purchase your own domain via NameCheap.com. Let's start. I have explained to you that NameCheap.com is probably the cheapest of all domain registrars. It's so cheap I bought the domain for a number of years. I actually paid around 2300 Php for four years of ownership and WhoIs privacy protection. If I went for GoDaddy, I would have paid around 3400+ Php. To let you see the difference, check out the images below. For example, I wanted to buy blingph.com. I want to own this domain and have WhoIs privacy protection for 5 years. 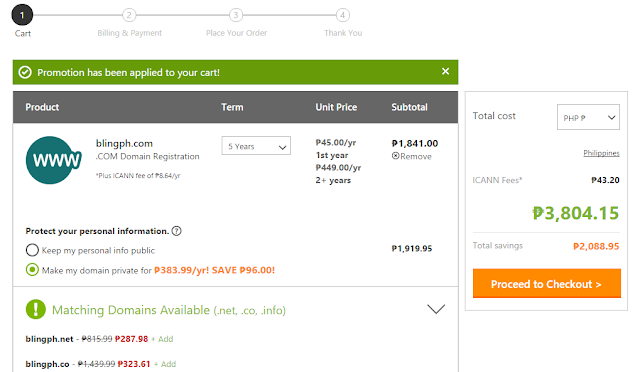 If I choose GoDaddy, I'd pay 3,804.15 Php; meanwhile, if I choose NameCheap, I'd only pay 3,001.89 Php ($63.87 at 47 Php a dollar). That's at least 800 Php price difference. Hence, it was definitely one great deal. Just go to NameCheap.com and check if the .com domain name you want is still available. Then, you'd have to add it to the cart. Eventually, you'll have to register your name, email address, contact number, and personal address. If you don't want these details to get leaked out in public, purchase the WhoIs privacy protection service that's discounted as of today. 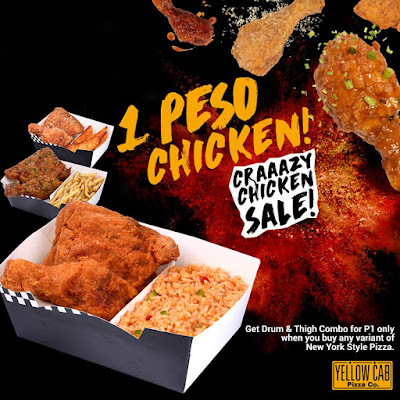 You may also Google for Namecheap coupons which slashes off around 40-50 Php from the total cost hehe. SECOND. Pay using BPI My ePrepaid MasterCard. I was pretty much eager to have it that I decided to approach a few friends online to ask if they have extra funds that they can send me while I pay them via local peso deposit. How can i pay for this if I don't have a credit card or a Paypal account or bitcoins? I quickly contacted the live chat assistant and asked her if they accept MasterCard electronic prepaid cards like BPI My ePrepaid MasterCard. Just so you know, the BPI My ePrepaid MasterCard is actually very convenient in paying for shopping online like in stores like Lazada, Zalora, or in purchasing airline tickets online. It really takes off the sweat of having to go to the nearest Bayad Center in a shopping mall. However, I haven't heard of BPI My ePrepaid MasterCard in paying for purchasing a domain/website--add to that the fact that the payment is in dollar denominations. It took several minutes before the live chat assistant was able to verify that they accept such cards. Still, there was fear in mind because the funds inside the BPI ePrepaid card will not be withdraw-able anymore. 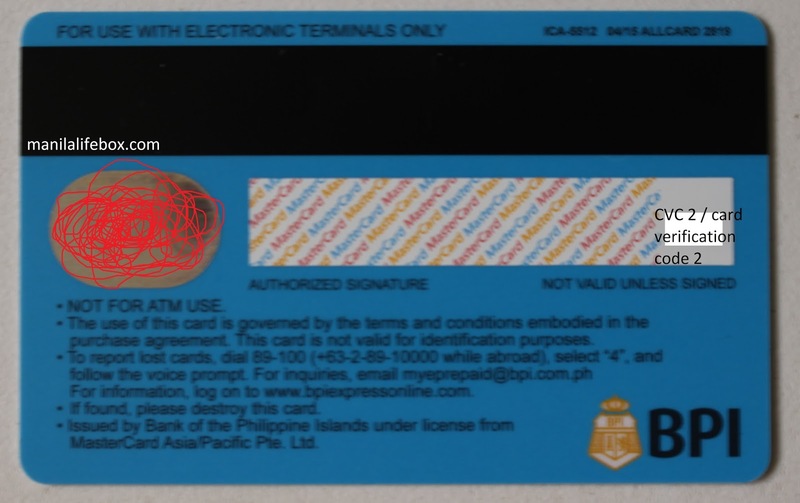 Eventually, I decided to transfer 2,300+ Php from my BPI account to my BPI ePrepaid Mastercard. So, after having transferred the necessary amount, I confirmed my order on NameCheap and was directed to its Payment Page. And it asked me to input the details of my BPI ePrepaid MasterCard. These include my account name, account number, the security code (a three-digit number found at the back of the card), and the expiration date. And to my surprise, it worked! The payment process was smooth! You can use your BPI My ePrepaid MasterCard to purchase a domain name or website at NameCheap.com. Woah! I was so excited that I decided to continue with the last process, that is to host it in Blogger instead of buy hosting plans and website builders from NameCheap and the like. It's really cost-effective and cheap! 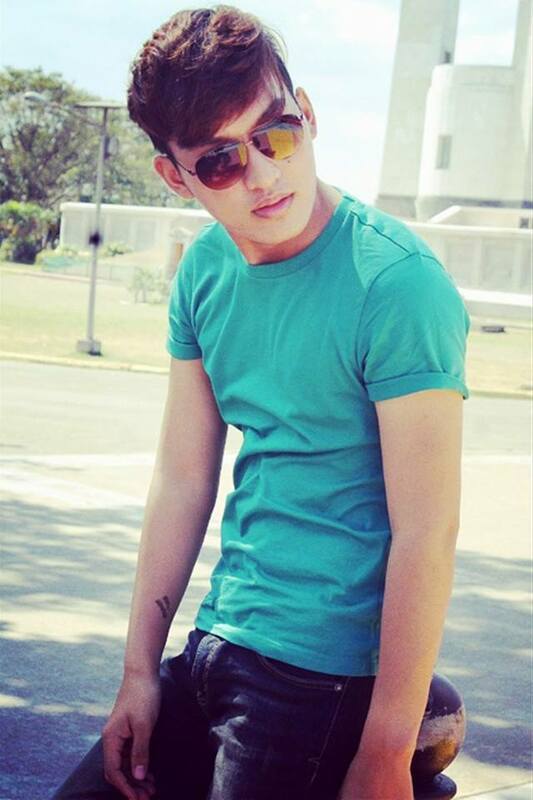 THIRD. Host your custom domain in Blogger. What is a hosting provider? Why look for a host? You need some hosting provider to keep your information and posts in its servers. 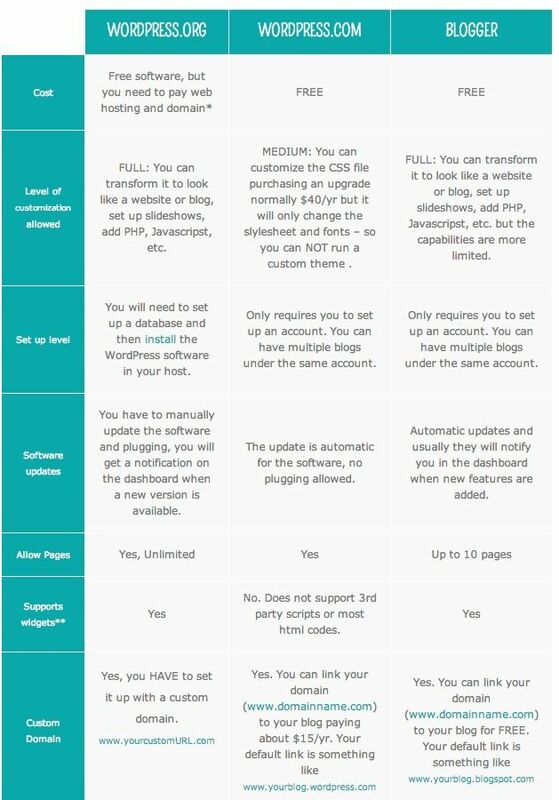 Actually, you can pay for it through a lot of hosting plan providers, but Blogger offers it for free (including the template which you can personally edit via HTML manipulation)! If you'd quickly type on Google's search bar the terms Namecheap and Blogger, you'll see how you can use your domain with your blogger account. Visit this page to know more. It basically simplifies the steps on how you can host your Namecheap domain in Blogger. After following these steps, you can now start blogging! Now, why use Blogger and not Wordpress as a blogging platform? First, it's owned by Google. And I haven't heard of any issues with Google at all, other than the fact that it could shut Blogger down anytime. But it's nearly impossible that this site is going to stop operations. Second, there's a bunch of differences which can be summarized by the two images below. Enjoy!